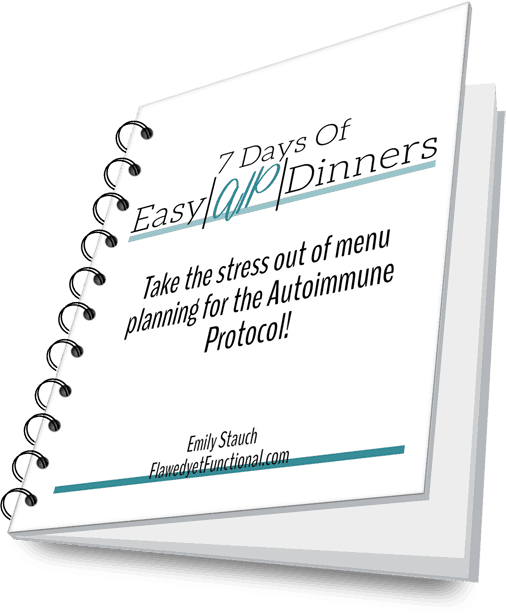 Welcome to Flawed yet Function where I talk about my health, habits, food, and DIY, and I hope to encourage you to live your best life! One thing that I’ve learned a lot about over the years in my kitchen is how to properly salt food. Salt can make or break your meal. If you leave it out, there is a dullness or lack of vibrancy in the flavor of food. So today, I’d like share how to salt your food. It does take practice to get it right, but your palate will be so pleased when you do! Sea salt is my recommendation for an everyday salt. It is salt in its natural form and very reasonably priced. Stop using iodized table salt completely. It is highly processed and stripped of many minerals. If you are eating a well balanced diet, you don’t need the iodine. On top of that, table salt is so fine that it is easy to over-salt food. Coarseness level is relative. One brand’s coarse is another’s fine, so find a brand of sea salt you like and stick to it. 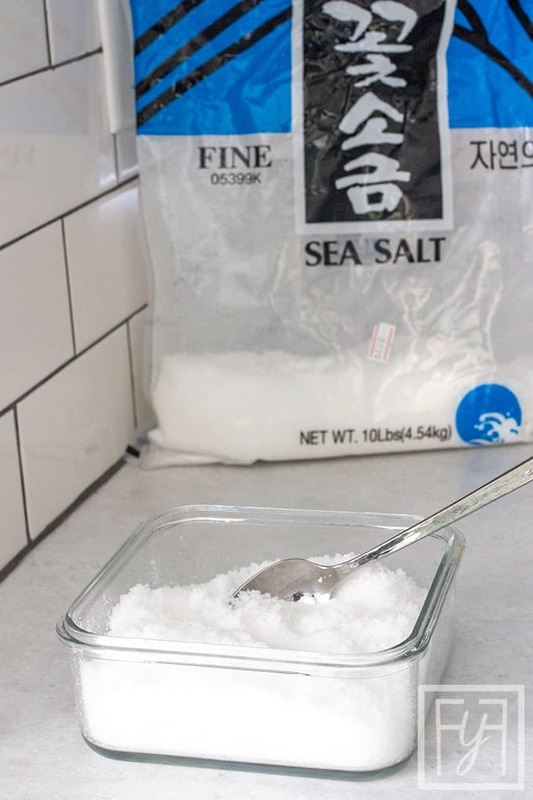 I’ve come to love the fine sea salt at my local Korean foods store. It is very reasonably priced too, $8.99 for a 10 pound bag. You don’t have to purchase salt in bulk, but if you start doing daily cooking, you might want to! When sprinkling salt onto meat or with each additional vegetable in a soup, get used to scooping salt with your fingers. It will seem clumsy at first, but your want to get a feel for how much salt you need. If you rely on measuring spoons, the results will be off if you switch brands of salt. Measuring spoons are a volume measurement, how much space does the salt take up? Cooking really needs a weight measurement, your fingers are better at judging that than a spoon. 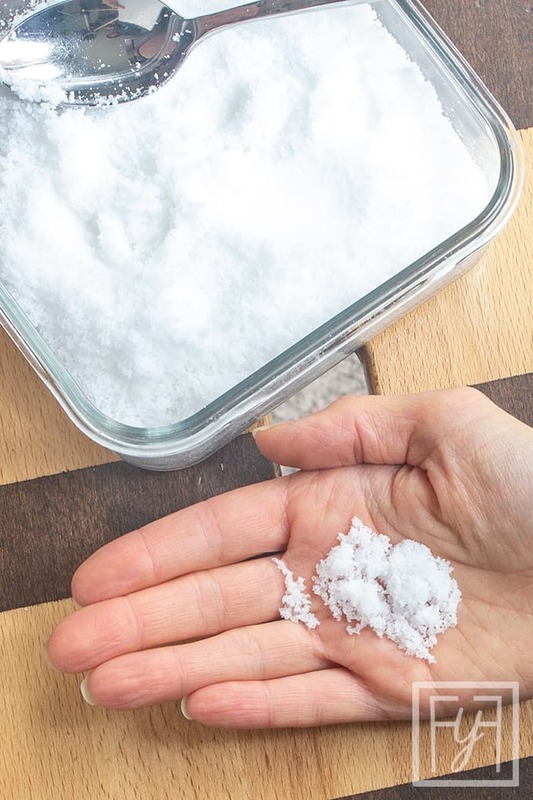 To adjust from using measuring spoons to hands and fingers, measure a teaspoon of your salt and pour it into your palm. Take a look at how much of your palm it takes up. Measure a 1/4 teaspoon into your palm then pinch is between your fingers to sprinkle. Were you able to pick up the entire amount? Half of it? Practice so that eventually, you won’t need measuring spoons for salting your food. If there’s one thing I’d like you to take away from this post, it is this “Salt Your Food As You Go.” Salt needs time to permeate the food and layering it into the dish is the optimal way to season the meal. If you are making a hash, sprinkle salt over the pan every time you add a vegetable. I’m not talking a 1 teaspoon dump, but a 1/8-1/4 teaspoon sprinkle (do pepper at the same time!). Before you cook any meat, sprinkle all sides with salt and pepper. As soup is put together, add a sprinkle with each vegetable. Always sprinkle vegetables with salt and pepper prior to roasting. Salt as you go! …and salt again if needed! Salt on the table is simply not necessary. Each meal should be seasoned to the cook’s liking before it is brought to the table. This is the best way to deliver consistent, tasty meals to your family and friends. Will someone still like additional salt and pepper? Maybe, but not likely. I do not keep salt or pepper on my table, and I’ve never had anyone ask for it! Never! Salting food is a topic I get passionate about. I know so many people who think homemade food is just not worth it because it doesn’t taste good. 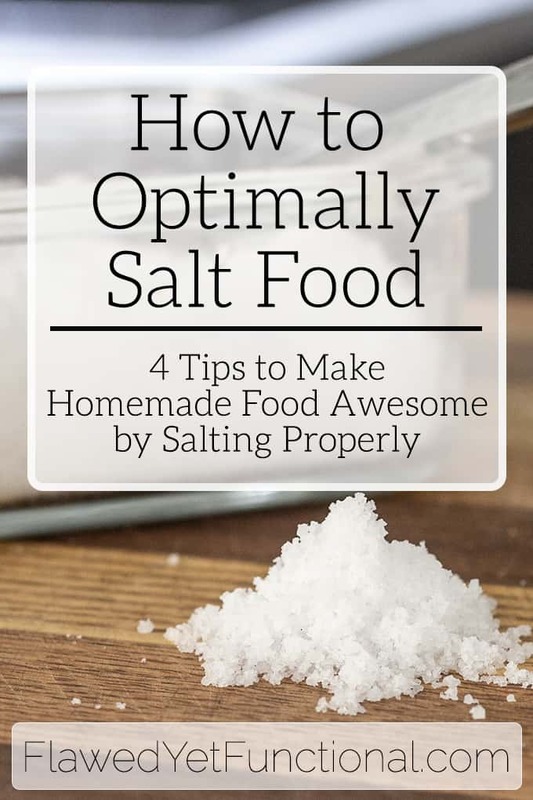 The key to awesome tasting homemade food is salt! 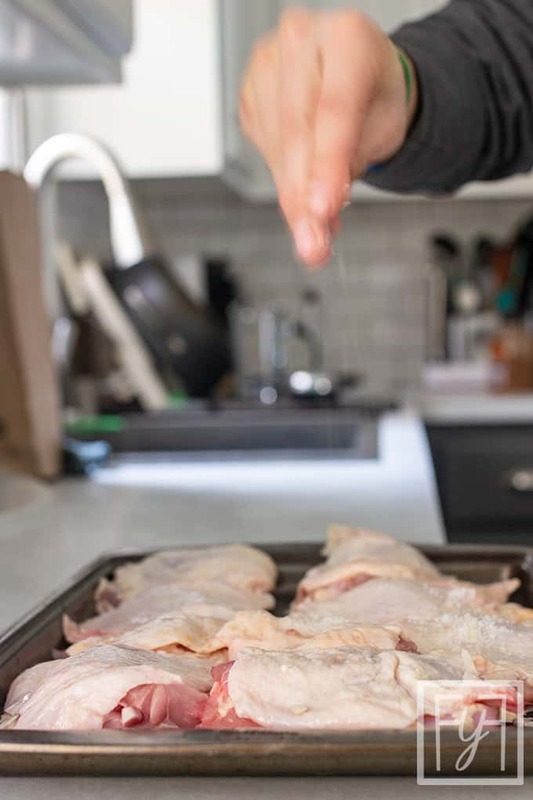 Learning how to salt your food is a lifelong skill that will improve the outcome of your cooking and encourage you to keep cooking because your food tastes so good. Try it!